Question: My husband and I just finalised our divorce in Dubai Courts. He called me from the airport and told me he was taking our son to a European country with him. What should I do? I live and work in Dubai. Answer: In such cases, if you have time, you can request an urgent court order and apply a travel ban on the child, take the child back or both. In the event of parental abduction, you have the following options: file for custody of the child; file a criminal case of abduction against your husband; or inform Interpol. The law sets out that this circumstance can change if the court determines something else is best for the child. 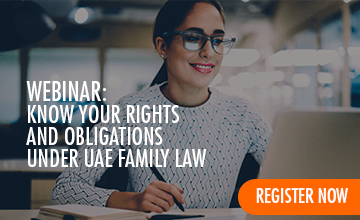 A recent case concerning child custody reached the Supreme Court of Abu Dhabi. A girl, 13, who lived with her custodian mother, was to be returned to the guardian, her father, in accordance with Article 156. After months of trials, hearings and appeals, the Supreme Court of Abu Dhabi did not grant the father custodianship. Although this goes against Article 156, the court found it would be in the best interests of the girl to stay with her mother until she was married. It is clear that legally and practically speaking, the goal is the same. Custody is awarded to the parent who fits the child's best interests.